Hit the road and explore the many miles of breathtaking scenery on offer in the Highlands. A beautiful glen sitting in the shadow of Ben Nevis. Access to the tourist route up the Ben is from here. Lots of places for picnics and short walks as well as a scenic drive to the end of the glen. Well worth a visit. Pop in to the Ben Nevis Inn for a pint or bite to eat. Access is from the roundabout as you leave Fort William (9 miles). A series of eight locks at the entrance to the Caledonian Canal. Watch the boats go up as well as down on their way between Inverness and Fort William. Have a bite to eat at the Moorings Hotel. There is a good cycle path up past the locks and along the canal side. Situated on the Mallaig road as you leave Fort William (11 miles). 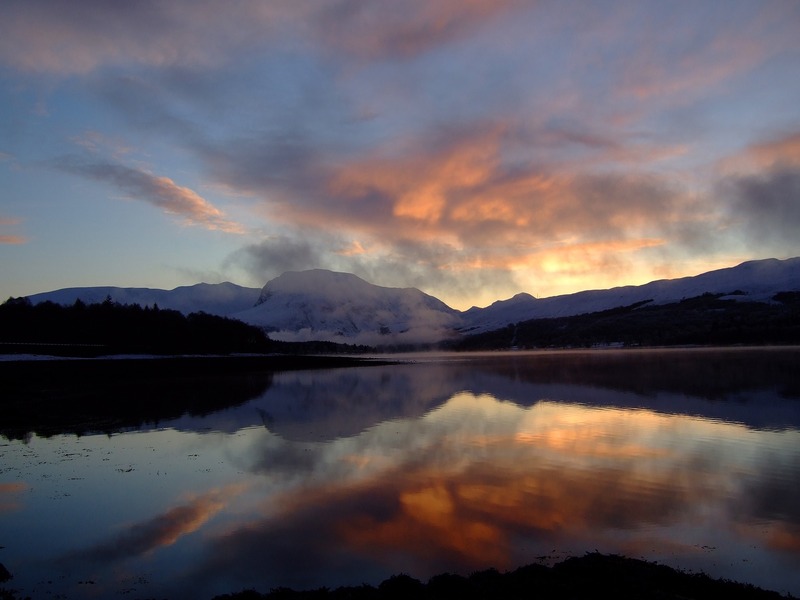 Aonach Mor is the mountain that sits beside Ben Nevis and in Winter is a major Ski Centre. There is a gondola (cable car) that runs up to the Snow Goose restaurant at just over 2000 feet all year round. There are plenty of nice short walks and on a clear day, spectacular views down Loch Linnhe. Situated off the A82 Inverness Road some 5 miles north of Fort William. The chairlift takes you up the mountain side with spectacular views down over Rannoch Moor. There are nice short walks from the top as well. There is a cafeteria at the foot of the chairlift. Situated off the A82 to Crianlarich at White Corries (half an hours drive). A leisurely option if the weather is kind. The Bay looks out over Loch Linnhe down towards the island of Lismore. There are plenty of short walks and an extensive beach (shingle). You can drive right to the beach. Take the Oban road to Duror and then turn right at the signpost for the school. Continue for just over a mile. A local trip taking in a little known or used road with the added benefit of being a round trip. You get wonderful views back across Loch Linnhe towards Ardsheal and Lismore and then return along the side of Loch Sunart. There is a nice beach at Kingairloch and you can stop off at the Inn at Ardgour before catching the Corran Ferry back. Catch the Corran Ferry and turn left. Pass Sallachan Bay (stop to see the Seals) and then turn left as the road cuts inland. Skye is too big a place to make lots of recommendations. You probably need a holiday there to explore it all. It is however, a good day trip and can be done as a round trip. 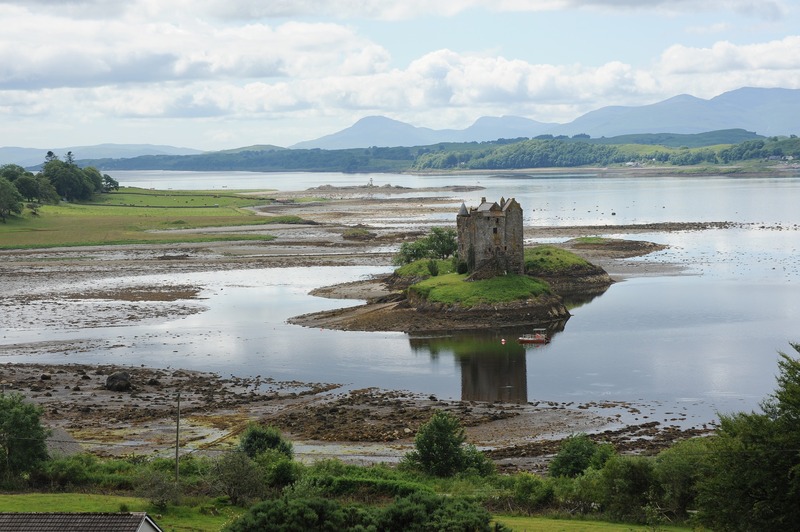 Stop at the Cluanie Inn for coffee and then have a look at Eileen Donan Castle before crossing the Skye Bridge . 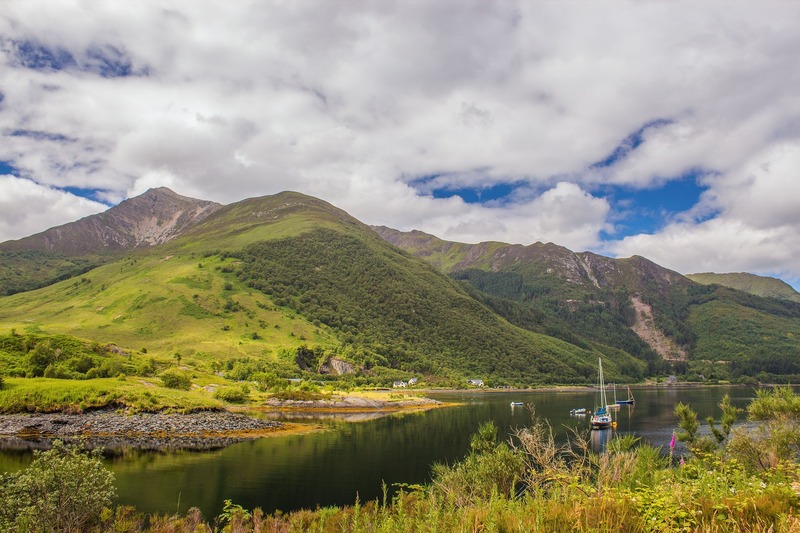 You might even want to divert to Plockton which is a scenic village where Hamish Macbeth was filmed.Enjoy your day on Skye and come back via the ferry from Armadale to Mallaig. You can stop off for supper at the Fish Market Restaurant in Mallaig. This is a town that comes to life in the Winter as the capital of Skiing in Scotland. It is however worth visiting all year round. The new Cairngorm funicular railway now goes up the mountain side and you might want to include a visit to the Ospreys at Loch Garten or the Highland Wildlife Park at Kingussie. On the way up to Aviemore, you will pass Loch Laggan on your right. Look across the water and see Glenbogle House, (real name Ardverike) venue for the filming of Monarch of the Glen. Another local drive which can be done as a round trip. The road meanders down the glen following the Caledonian Canal with the locks at Gairlochy and great views of Ben Nevis. Head for Spean Bridge and take the Inverness road (A82). Turn left at the Commando Memorial signposted Gairlochy. You will pass the Old Pines Restaurant on your right and eventually come out at Banavie on the edge of Fort William. Turn left to come home. Visit the most Westerly point on mainland Great Britain . The drive takes a good 2 hours although it is only 50 miles but passes through some wonderful scenery. At the point there is tea room as well as a small museum in the lighthouse. There is also a bird observation point for watching out to sea. You might be lucky and spot a Minke Whale. Remember to take in Sanna Bay as well.